You should come to Vitebsk only because it is a dream city. Spacious streets, measured pace of life, comfort and indescribable beauty. Each new trip to tourist Vitebsk will give you many pleasant experiences. And the thing is that the culture of Vitebsk is original, unique, that came down to us from time immemorial. And wherever you go in the city, you will find evidence of that everywhere. For example, Vitebsk Region Executive Committee. Now it is a modern building, which serves as a semantic core of cultural and business life in Vitebsk. Built in the classical canon, the building of the region executive committee breathes with discreet luxury, exquisite simplicity of forms and at the same time looks solemn and elegant, comparing favorably to other monuments in Vitebsk. The building was built in 1902. And not originally intended for administrative purposes, and for education of spiritual and moral qualities. The fact that first the three-story building hosted a Women Diocesan School, which was built on the place of the Holy Spirit Woman`s Convent. By the way, this was the first female religious school in Belarus, where pupils could teach subjects that are studied in a spiritual institution. 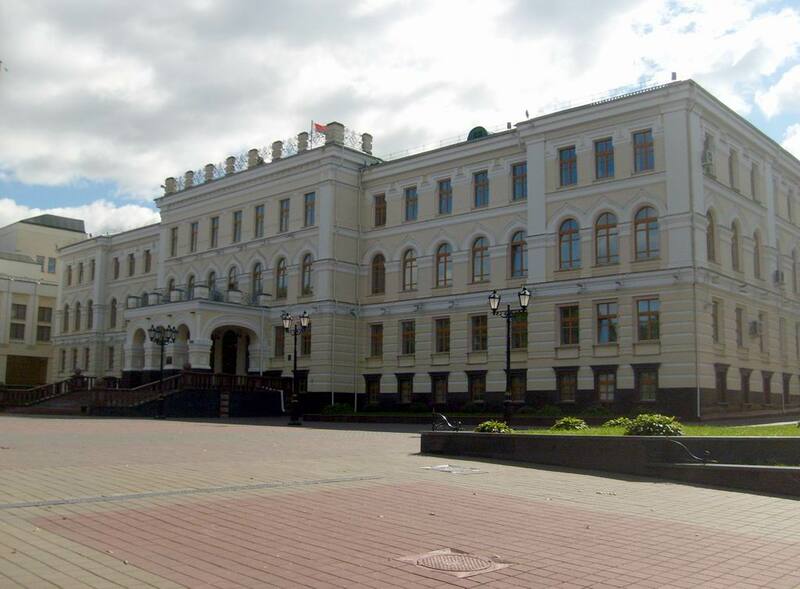 With the outbreak of World War I the Women's Diocesan School housed a military hospital, and in 1930 the building was converted under the head of Vitebsk air brigade. 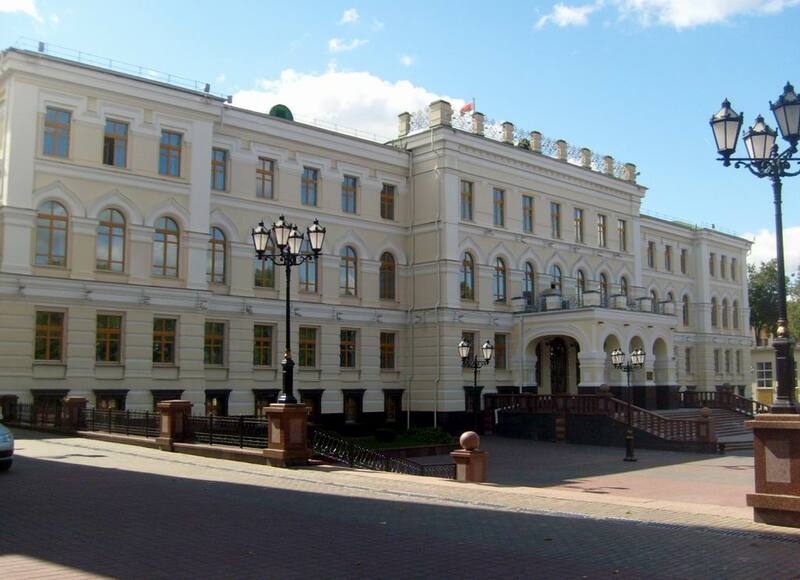 Only years later the building housed Vitebsk Region Executive Committee. The gallery layout of a three-storey building attracts genuine interest, the main facade heads to Gogol Street. The central part of the Women's Diocesan School is decorated by a three-flight staircase and a front lobby. The corridor in the building of one-sided and oriented to the court. The first and second floors housed classrooms, where the girls learned. The third floor was entirely occupied by bedrooms. And in the basement there was a kitchen, utility rooms, a dining room. Today the building houses a variety of services and departments of Vitebsk Region Executive Committee. 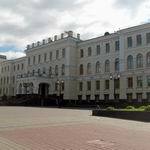 By the way, in the history of Vitebsk there were interesting facts related to the Women's Diocesan School. It is known that the ceremony breaking ground was attended by the head of "Mighty Five" Milay Balakirev. Especially for this event he wrote hymn "Praise be to Almighty God" and two "Farewell Songs", which were intended for graduates of the school. Being caught in such a wonderful location, near Vitebsk Region Executive Committee, do not hurry to leave. After all, just side by side are not less interesting sights of Vitebsk. They can tell you interesting stories from the life of the city and its citizens, their inner world and feelings. Summer Amphitheatre, which is well known far beyond the borders of Belarus, is one of the brightest buildings in Vitebsk. 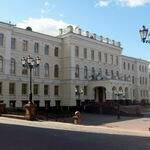 They include symbolic places for the culture of Vitebsk - for example, Museum "Dukhovskoy Kruglik" and Marco City. Bogdan Khmelnitsky Street will stimulate to thoughts and amaze with its beauty. Why these buildings cannot be ignored? The pages of city portal VitebskCity.by will help you to find the answers. Address of Vitebsk Region Executive Committee: 6 Gogol str., Vitebsk.